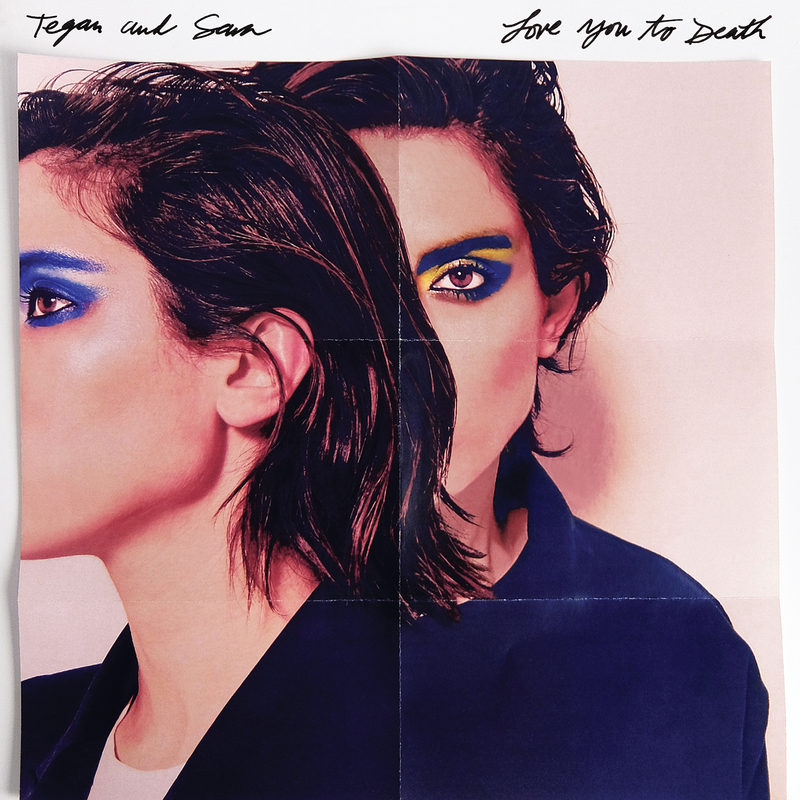 Twin multi-instrumentalists Tegan and Sara haven’t had much opportunity to pause for breath over the last two decades, but when they have, they’ve used it to shout about the things that matter. The Canadian identical twins – whose new album Love You to Death is a thunderbolt of dazzling pop – have been openly gay since the outset of their musical career in 1998, consistently campaigning for LGBTQ equality and gender justice. 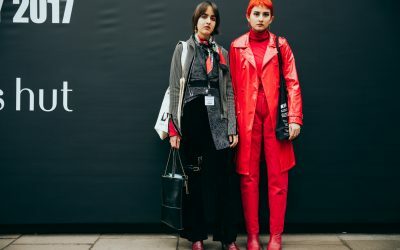 Their charity, the Tegan and Sara Foundation, founded in December 2016, is dedicated to economic justice, health, and representation for LGBTQ girls and women. 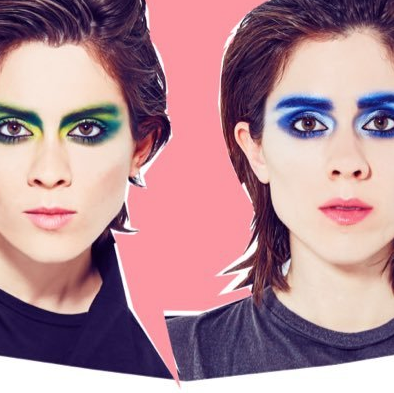 Ahead of the duo’s upcoming headline show at London’s Roundhouse, we took some time out with Tegan to natter about everything from the new album and charity work to her experience of coming out. When did you first start making music together? Our first foray into writing songs and starting a band was in 1995. We were in the 10th grade and found a guitar in our basement. Secretly we started writing songs and recording them together. Not long after that we started a garage band, began recording ourselves and selling the hand dubbed cassette tapes at our high school. Which movie would your new album soundtrack? That’s actually a really tough question! I think our last two records have felt quite 80’s, so probably something of John Hughes’. And which album would soundtrack a movie of your life? Well, I’d like to think that each of our own records represents a period of our lives. So the current record, Love You To Death, feels like my life now. Each time we write and record a new record I feel like I learn a lot about my writing process and about patience. Greg Kurstin who produced our last two records really loves to take time while he is recording. He’ll leave songs then go back and listen with fresh ears. I think that’s very new to us. Even though it made sense when he described that process I had never actually done it myself. So with Love You To Death I really embraced the process of writing and then leaving something to listen back to weeks later and make changes with fresh ears. I think it’s really helped develop our craft as songwriters. Is the new record a form of activism in itself? I don’t think so. It’s not very often that we write about activism or politics. Certain songs like BWU and Boyfriend certainly have elements of political or social beliefs in them, but I think as writers we attempt to make our music as palatable as possible and that generally means keeping things less specific. But over the course of our bands’ career we certainly addressed things that were important to us beyond our relationships. With I Was Married, BWU and I’m Not Your Hero I think Sara addressed emotions related to being queer. Any secrets behind your new sounds? You know, we always try and change things up from record to record. The worst thing I could imagine is trying to pass off the same record twice. So we really challenge ourselves with reach record and try to push ourselves into new territory. Even when we are recording the songs at home in demo form we try and explore with new sounds and tempos and keys. Greg Kurstin is always really supportive when we start the process so that he can get an idea of what we were influenced by when we were writing and were listening to. We talked at length about the early and mid 90s music and sounds we were listening to while we were making Love You To Death so the keyboards we used on this record are actually made from the 90s. How did you end up at the heart of the fight for equal rights? Well, as public figures our entire adult life and openly queer artists I think we felt a social and political responsibility to be aware, use our platform when appropriate and to invest back into our community. We have been so lucky to live the life we have and we have access to resources that many don’t. It feels quite right to stand up and fight for what we believe in. I think when America started its fight for Marriage Equality in the mid 2000’s we were just at the start of our bands’ upward swing and we felt really energised by the fight. Though we ran the risk of alienating people by being so open, we felt it was a risk worth taking. The reality is, if you are listening to Tegan and Sara, you probably want LGBTQ people to have equal rights. So it was a pretty small risk in our minds. I came out when I was 19. I had had one other relationship with a woman before that but once I was out of high school and started a serious relationship I felt it was time to tell my family and friends. Most people already knew or assumed so it was a pretty unexciting coming out. Our family was very supportive and a lot of my friends and peers were LGBTQ or were supportive so I didn’t really feel nervous or worried. I was lucky because Sara came out first and took most of the initial blow back. I think our mom had it the hardest to start. She worried about how the world would be to us. How our career would be affected. If we would be hurt or harmed as out musicians. But she came around very quickly. We are very, very lucky to have the people we do in our lives. We have heard many tough stories about coming out. Thankfully we grew up in a very open minded community and had a lot of support. How has the LGBTQ scene evolved since then? The world itself is just so different. The late 90’s were still a little weird when it came to LGBTQ issues. We definitely faced a lot of homophobia and sexism when we started our career. But we also had youth on our side. We were not quite so aware of how hateful and awful some of the laws were/are. We were in that bubble of being young and not caring. We had grown up pretty political. Our mom taught us early to use our body and our minds to stand up for things we believed in. We marched in the Take Back The Night march every year. And the women’s day marches. I think we always had a finger on the pulse of the LGBTQ scene even before we were in it! Top three tips for readers wanting to campaign for LGBTQ rights in their everyday lives? First and foremost it’s about being a great ally. That means educating yourself about the issues facing LGBTQ people. And that means doing the research yourself, not relying on LGBTQ people to explain it all to you! To be a good ally you need to come prepared! I think what we need most right now are allies to stand and fight with us! Allies to be vocal and public about how much equality is important! Whether it’s looking for discrimination at your workplace, at school or in your community it’s a huge help to have being vocal about inequality and fighting to eradicate it. We don’t want to have to fight alone. Volunteer. Support LGBTQ art. Books, films, stories. 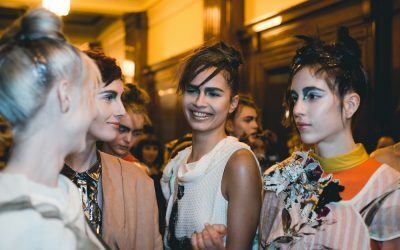 Are you optimistic about mainstream culture’s acceptance of the LGBTQ community? I think we are in a good place for LGB people. But I think we have a long way to go when it comes to Transgender rights, acceptance and education. I hate to be negative when it comes to LGBTQ related issues because I have seen first hand how far we have come. I am an optimist and I like to put positive vibes out there, but, there is a lot of work to do still. That being said, I think there has been a huge shift, especially amongst the younger generations and I do believe that more and more people are seeing LGBTQ people and those who identify as being on the spectrum of gender and sexuality as just regular people. More and more it is becoming normalised. So, in many ways that is a good thing. But, like I said, we have a lot of work to do still. The fight is only starting in so many places. We have to stay vigilant. Have you explored much of the UK’s queer culture while touring? We definitely have a huge contingent of queer fans in the UK! We know a little about the scene in the UK. I know there is still a way to go there. But, judging from how many queer superstars you have, it seems there is a good level of support for queer people. I am actually so sad most days to think of how many millions and millions of women in this world still face incredible odds when it comes to their bodies. Which artists do you admire for the way they’ve used their platform for good? Well, I think artists like George Michael, Madonna, Bowie, Bruce Springsteen and U2 used their massive platforms in the 70’s and 80’s to revolutionise so many important issues. I think some artists today still do that. But, there is a whole legion of artists who want to steer clear of political and social issues which absolutely boggles my mind. It seems irresponsible not to stand up for human rights and equality when you are a superstar. Artists who aren’t speaking out against racism, xenophobia and homophobia I just don’t get. I definitely lose respect for artists unwilling to step up and give back. I love that Katy Perry, Grimes, Best Coast and Lady Gaga stepped up for Hillary Clinton in the last election. I know it didn’t get her elected, but they have massive audiences and I think they inspired a generation of women to speak out and get involved. That’s very significant to me. 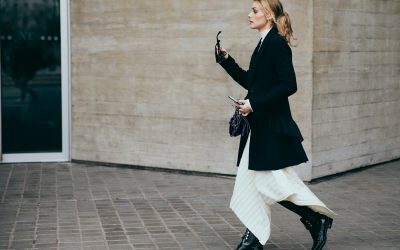 How do you feel about the way the female body is viewed in the 21st century? I am actually so sad most days to think of how many millions and millions of women in this world still face incredible odds when it comes to their bodies, safety and equality. This past year has felt like a rough one for women. Sara and I have been learning a lot of about women and girls in the LGBTQ community specifically – and women of colour and transgender women are so underrepresented. So under-funded and so under-researched. They are struggling to make a living, to raise their children, to close the wage gap, to get fair and meaningful work and consistent culturally appropriate health care. It’s shocking. And the way that women are still represented in film and in TV is often miserable. It scares me to see how much violent rhetoric is still thrown at women online. Reading the news daily makes me increasingly worried about how women are treated, reported, spoken to. Even recently in the US election (and post election), seeing women’s reproductive rights up debated away by a bunch of stuffy, old white men… it’s just awful. It feels like a different era than the one I thought we were living in. Last thing to make you laugh? And cry? How sad is it that I can’t think of anything funny? This interview has made me think of so many things that stress me out I’ve gone completely blank on anything funny. I must have laughed recently though. I laugh a lot. Oh! I went and saw Hidden Figures (fantastic movie) with my girlfriend. I loved it. As did she. We both cried so many times and every time I would start to cry I would turn to her and she would be crying and we would both start laughing. So I guess that answers both your questions. I was both laughing and crying the entire two hours.